The weather in Guatemala is generally split between two seasons — dry and rainy. The dry season generally runs from mid-October to late April, with the other half of the year being the rainy season. 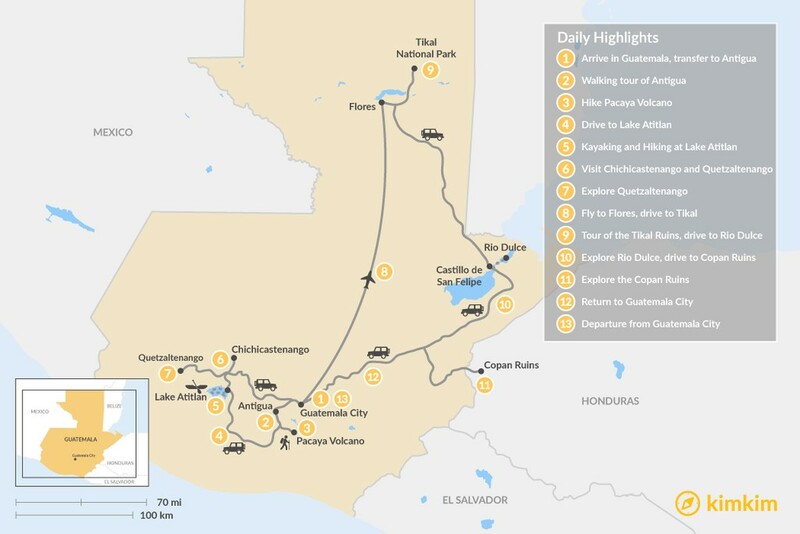 That being said, tourism is still alive and thriving during the rainy season as we're not dealing with monsoon-type rains, think more afternoon/evening showers. Depending on your goals while visiting Guatemala, each season has its benefits. Overnight camping and long hikes favor the dry season, while birding, morning adventures, and smaller crowds are best during the rainy season. Where to go in Guatemala? A few of the top sights that most people think of when visiting Guatemala are Antigua, Lake Atitlan, one of the many volcanoes, and the Tikal ruins. 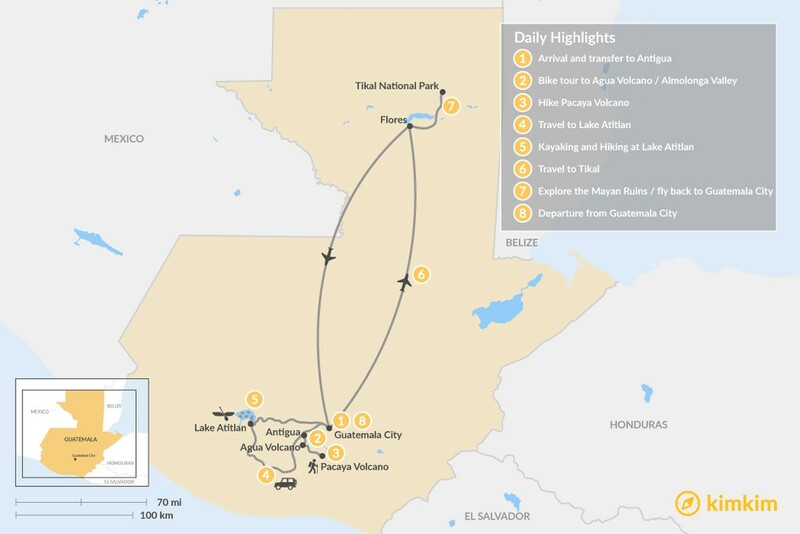 When you search Guatemala they will be the top sights, although if you are open to getting a little more off the beaten path, Guatemala has so many wonders to experience including the beautiful hiking trails in the Western Highlands, the rivers and caves in Alta Verapaz, black sand Pacific beaches, mountain biking trails in every corner, and many more. Let us know what types of adventure you're seeking and we'll help recommend the right areas. Although Guatemala is a fairly small country in size, the variety in Mayan culture and drastic landscapes make it huge! At least a week is recommended to get a feel for the different experiences this country has to offer. This one-week trip packs in all the highlights of beautiful Guatemala, from touring Mayan ruins and climbing an active volcano to exploring the stunning landscape. 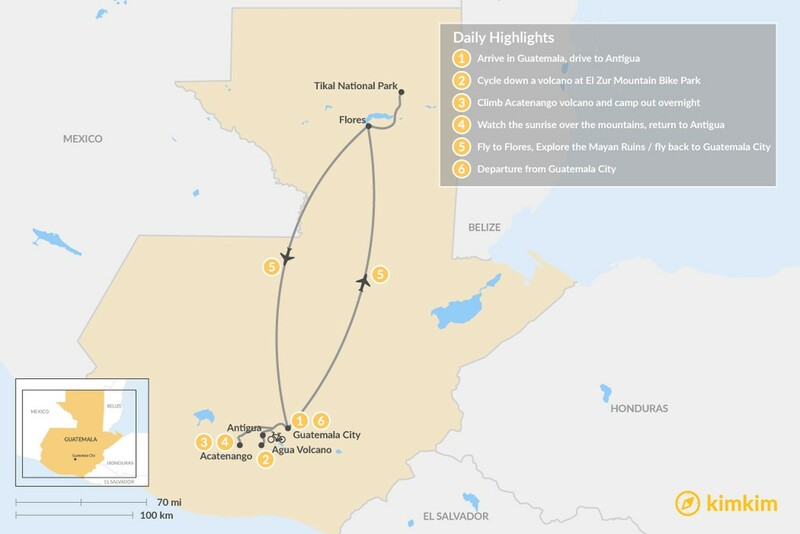 Hike, bike, and kayak around the country as you discover the picturesque colonial city of Antigua, the magic of Lake Atitlan, and the history of Mayan civilization at Tikal. This trip to the heart of Central America offers fascinating historical culture, thrilling adventure, and jaw-dropping vistas. You'll fall in love with the charming colonial city of Antigua, learn about ancient Mayan civilization, and hike and bike some of Guatemala's stunning mountain volcanoes. Delve into the incredible natural beauty and diverse cultures of Guatemala and Honduras on this two-week trip. Discover Mayan ruins, towering volcanoes, and vibrant cities through a well-rounded mix of outdoor adventures and cultural encounters. You'll roam around colonial Antigua, kayak on stunning Lake Atitlan, and browse the artisan markets in indigenous Mayan towns. Immerse yourself in ancient Mayan culture while traveling in style on this 8-day trip to Guatemala. Pamper yourself in luxury hotels and see the sights from above as you fly by helicopter to some of Guatemala's best attractions. You'll bask in the beauty of magical Lake Atitlan, discover the charming colonial city of Antigua, and participate in a Mayan ceremonial ritual. 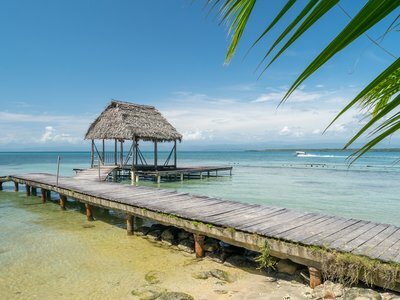 You're in for a week of adventure on this action-packed trip to one of Central America's lesser-known gems. Discover the rugged natural beauty of Guatemala as you hike, bike, and kayak around its most stunning attractions and charming towns. You'll camp out overnight on a volcano, go mountain biking through colorful indigenous villages, and paddle through the waters of magical Lake Atitlan. Coffee has long been one of Guatemala's top exports, but only recently has the country cultivated a café culture of its own. Nowadays, shops brewing locally-sourced coffee are easy to find in most corners of the nation—and cultural hotspot Antigua is no exception. Here's a roundup of the top cafés in Central America's favorite colonial town. My family really enjoyed the hike up volcano Pacaya. Our guide was thoughtful and friendly and well prepared. Chris did a good job with planning everything. Casa del Mundo in Atitlan was a very nice hotel with amazing views, and I enjoyed visiting the different villages along the lake. Antigua was also a nice place with colorful colonial architecture, along with lots of shops and restaurants. I would definitely visit these places again. My recommendation for anyone looking to visit the Atitlan region: pack lightly. You have to take a lancha (water taxi) to visit the villages, and your luggage gets placed on top of the boat. These are not big boats, and they can be packed with people depending on where you're leaving or heading to. Panajachel and San Pedro, for example, are very busy areas. The boat rides can also be a little scary and bumpy depending on how windy it is. I was definitely scared riding a lancha for the first time. I had a wonderful trip in Guatemala. Everything was very well planned and executed. The communication with all involved was very impressive. David our local guide was very knowledgeable. The accomodation and transport was first class. I would highly recommend this adventure.